Be the first to share your favorite memory, photo or story of Stevie. This memorial page is dedicated for family, friends and future generations to celebrate the life of their loved one. 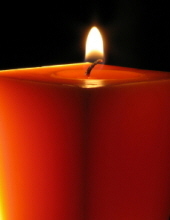 Stevie Garland Fridley, 63, of Forest Avenue, passed away Saturday, January 19, 2019 in Augusta Health in Fishersville. Mr. Fridley was born May 8, 1955 in Staunton, a son of Dolly Jean (Shiflett) Fridley and the late Edward M. Fridley. Stevie was employed with Riddle Berger as a plumber. Surviving in addition to his mother of Craigsville is a daughter, Karmen N. Fridley of Waynesboro. In keeping with Mr. Fridley’s wishes there will be no services. To send flowers or a remembrance gift to the family of Stevie Garland Fridley, please visit our Tribute Store. "Email Address" would like to share the life celebration of Stevie Garland Fridley. Click on the "link" to go to share a favorite memory or leave a condolence message for the family.